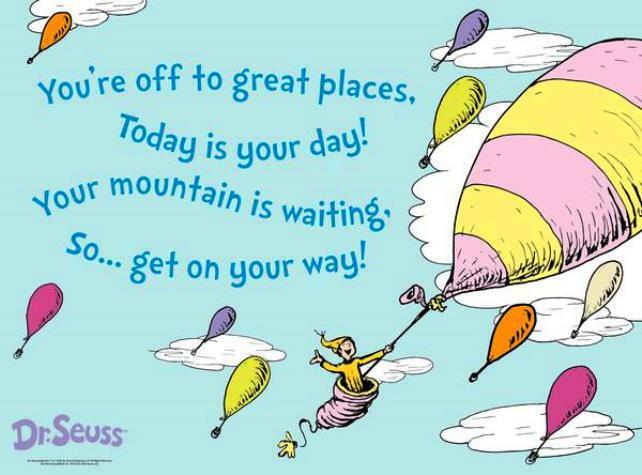 ‘Oh, the places you’ll go’ is advice to a young boy who leaves home to explore the world. He’s told that he’s in charge of his own life and can make his own decisions on what direction to his journey will take. The book, written as a poem, takes the lad through highs and lows, assuring him that, ‘You’ll be on your way up, You’ll be seeing great sights, You’ll join the high fliers who soar to the heights.’ But then there are the lows and attendant problems. Escaping from this dreary place, the boy is told he’ll escape to find the, bright places where Boom Bands are playing’ and he’ll ride high. 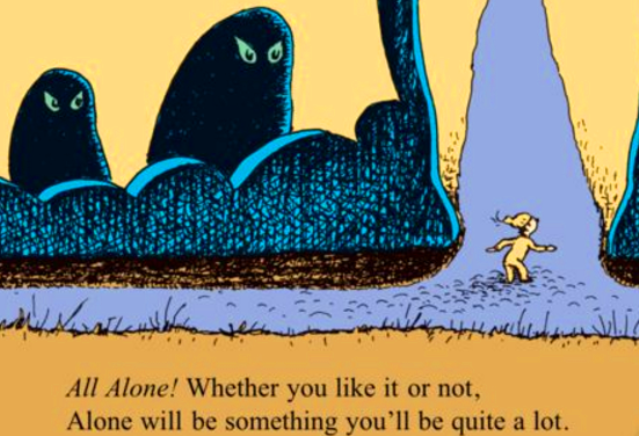 And so he will go on, becoming successful and seeming to have everything in life until one day, whether he likes it or not, ‘Alone will be something you’ll be quite a lot.’ It’s very unusual for a children’s book, for that is what ‘Oh, the places you’ll go’ was written as, to address loneliness. Yet that is something most of us will experience at some time in our lives, and some people are lonely a lot of the time. I first came across this book when my coaching supervisor recommended it. I often refer to it with Life and Business Coaching clients as a metaphor for living life to the full. It has become a classic and will surely continue to inspire people for many years to come. I remember reading Dr Seuss as a little girl and loved it but I’d not come across this book before. It’s wonderful. Thanks Zoe, it put a huge smile on my face. Ah cheers Kat – he’s a quirkilcious delight isn’t he!